The moon is reaching what’s known as its “perigee”, the closest approach to earth in its orbit – a mere 221,802 miles away. 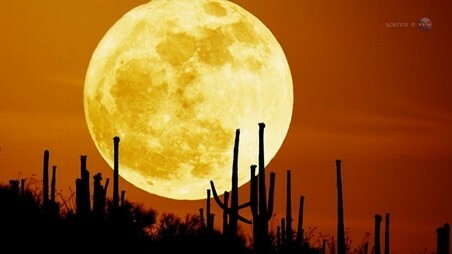 It will appear 16 percent brighter than the average full moon. Compared to when it’s on the “apogee” side of its orbit, farthest away from earth, it will be 14 percent bigger and 30 percent brighter.